Kickstarter alert!!!!! Comicker Press is very close to funding its crowdfunding effort to publish its next batch of creator-owned and diversity focused graphic novels. There are five amazing titles to select from and I really hope that it funds. Check out the campaign here and buy some books! There are great options for you no matter what genre of comics you prefer. Now on to my weekly comic report. Bloodshot: Salvation #1 - I need to read more Valiant books. I have enjoyed every title I read and when you add Jeff Lemire to the mix it becomes a must read. There were always grand plans to read his Valiant books, but I have never moved beyond simply reading one or two. When I saw there was a new Bloodshot series he was penning, it was a no brainer. When I learned it had to do with Bloodshot as a father and revolved around his daughter, I was absolutely thrilled. Lemire has a knack for writing exceptionally moving and powerful stories around parenthood and I hope this is no exception. 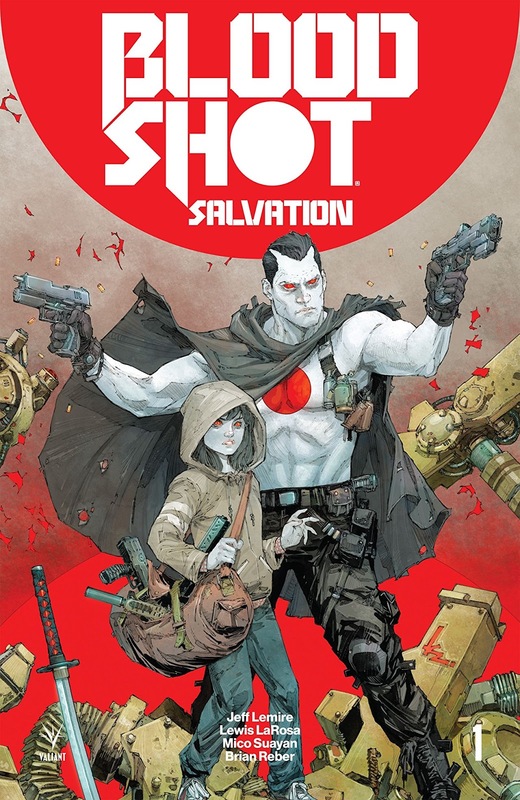 In this series Bloodshot has retired, and it attempting to live a normal life with his wife Magic and his daughter Jessie. Given his and Magic's past, things obviously don't go as planned and I can't wait to read more about why he is currently separated from both his wife and daughter. Just an absolutely stellar first issue. 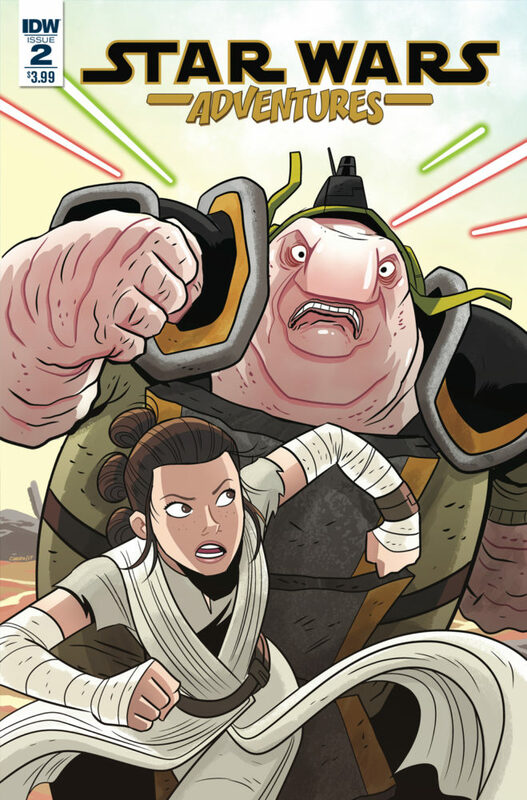 Star Wars Adventures #2 - This all ages Star Wars comic continues to entertain. We are treated to the conclusion of "Better the Devil You Know", a story about Rey prior to The Force Awakens, and a story about a female X-Wing pilot named Evaan who played a vital role in rescuing a Rebel base that was under attack. I really can't say enough good things about this title. It is great for both young and old Star Wars fans, and feels like a Saturday morning cartoon from my youth. 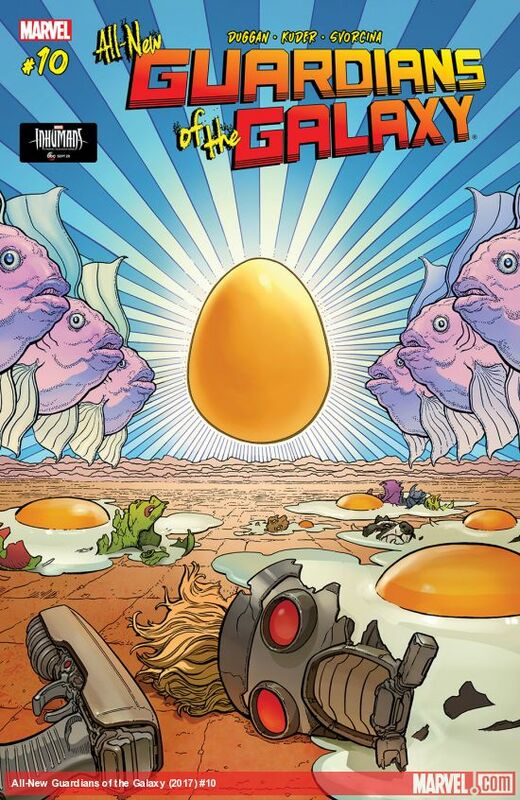 I think I might pour me a bowl of Cap'N Crunch when I read issue #3. Dept H #18 - I feel we are nearing the end of this murder mystery set at the bottom of the ocean, but in addition to trying to solve out who murdered Hari, the H virus is killing hundreds of thousands of people on the surface and people are revolting over the attempted quarantine efforts. 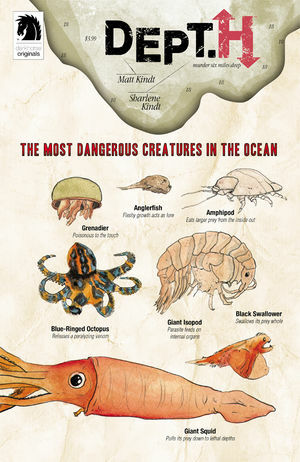 Despite the risks of surfacing, the crew has the antidote, but has other issues they are dealing with as well. I guess when one among you is a murderer and has sabotaged a lot of efforts at the bottom of the ocean things are going to be a bit rough. This issue is the first time we have a glimpse of the final moments that Hari was alive, but I am no closer to honing in clearly on a suspect. Matt and Sharlene Kindt have a great series in this book and I hope more people give it a whirl. All-New Guardians of the Galaxy #10 - Things get weird in this issue when the Guardians reunite the Collector with his brother. While it appears that all hell is going to break loose, the two are happy to be together to figure out if everything is ok due to a cosmic shift. Something is happening with the other cosmic beings at it appears that the Gardener and Loki might be behind it. Gamora still is seeking out the Infinity Stone that has part of her trapped, but they are also needed now in an attempt to set the universe right. Not as light-hearted as some issues, but it has me excited for the next arc as the Guardians quest for the Stones.